• Adaptive and Collaborative Learning, that takes into account the various input data and actors in the educational process and recommends learning itineraries, interfaces and contents. • Design, publishing and distribution of digital multimedia and interactive contents. • Ubiquitous learning, integrated in daily life and at work. • Visual environments for user model authoring, and content authoring, easy to use for non-experts and with a conceptual design of high level. • Use, modification, implementation and evaluation of ICTs in the classroom, with a special focus on didactics, learning strategies and teaching methods. Edumotion, Education on the Move – Mobile access to educational content (2012-2014, GA: 315568, FP7-Research4SME). 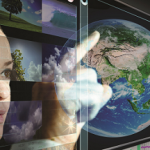 EDUMOTION considers the relevance of location-based experiences for education. It develops a software platform for informal learning, based on field experience. 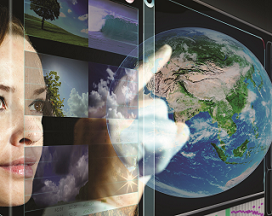 Hotel, Holistic Approach to Technology Enhanced Learning (2012-2014, GA: 318530, FP7-ICT). 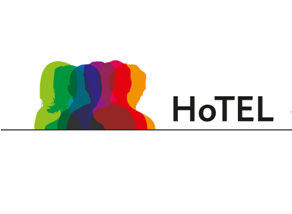 The HOTEL Support Action aims to contribute to more effective, holistic and faster innovation cycles in European TEL, focusing on the design, testing and validation of a new innovation working method. Intuitel, Intelligent Tutoring Interface for Technology Enhanced Learning (2012-2015, GA: 318496, FP7-ICT). The objective of INTUITEL is to enhance state-of-the-art e-learning content and Learning Management Systems (LMS) with features that so far have been provided only by human tutors. EU-USR, Comparative Research on University Social Responsibility in Europe and Development of a Community Reference Framework (2012-2014, GA: 527209, LLP). The EU-USR project aims to foster the creation of the European Area of Higher Education by developing a common European Framework for Universities Social Responsibility. Inspiring Science Education, Large Scale Experimentation Scenarios to Mainstream eLearning in Science, Mathematics and Technology in Primary and Secondary Schools (2013-2016, CIP). Large Scale Experimentation Scenarios to Mainstream eLearning in Science, Mathematics and Technology, in Primary and Secondary Schools. Virtual Mobility Passport, Implementing Recognition of Virtual Mobility and OER Learning through a Learning Passport (Lifelong Learning Programme–Erasmus-EAC/S07/12. The VM Pass project aims to increase inter-institutional recognition of Virtual Mobility and Open Education based learning. eMundus, Fostering international Higher Education collaboration through ICT and open education (Erasmus Mundus – Promotion Projects-EACEA/38/12, Grant Agreement: 2013-2508/001-001). The eMundus project aims to strengthen cooperation and awareness among Higher Education Institutions worldwide by exploring the potential of Open Approaches to support long term, balanced, inter-cultural academic partnership for improving learning and teaching through Open Education approaches. Definition: TELSOCK (Technology-enhanced Learning & Social Networks) concentrates in Technology-enhanced Learning and Social Networks. A big part of its activities and initiatives aims at strengthening UNIR’s leading position in national and European eLearning settings.